Saturday, January 26,14 high school students traveled to Regional History Fair at Adams State and made a great showing! There are 9 students that will be continuing on to State History Fair on May 4th. ​Alyssa Rawinski has accomplished an amazing and difficult task... She has been announced as a Science Talent Search Scholar (formerly known as an STS Semifinalist), which means her research project has been selected as one of the top 300 in the nation!!!! (see announcement below). The other two students who applied (it's a lengthy application process, and kudos to them for doing it!!) and were unfortunately not selected: these are Amber Michel and Molly Nehring... Great job ladies, your research was definitely competitive and at a level appropriate for STS!! 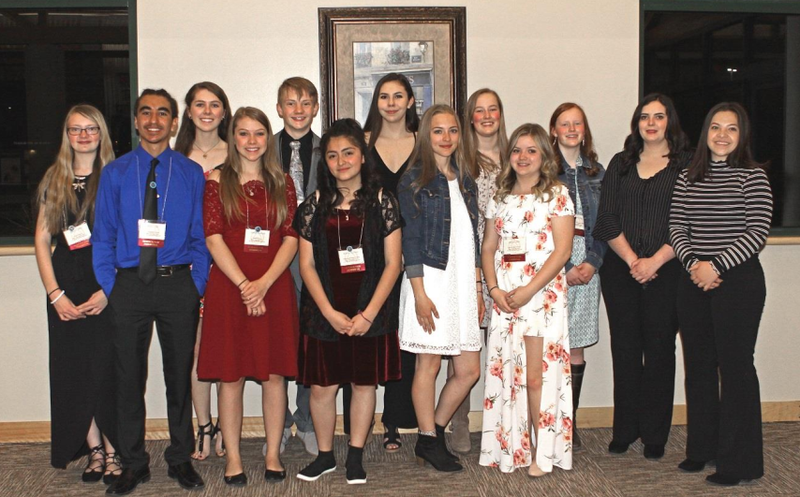 In the entire San Luis Valley, there has only been one other STS Scholar to have achieved this level, and that is our very own Tayler Rocha back in 2014... Wish Alyssa luck as her research is considered for the top 40 student projects in the nation!!! 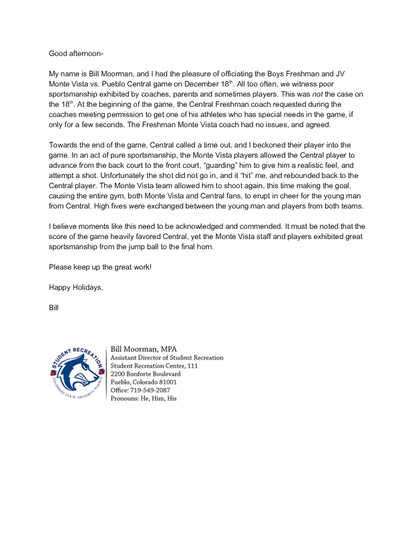 ​Sportsmanship at Monte Vista High School!